Welcome to the newest issue of What to Wear This Month! This month, you’re getting fifteen festive December outfits. 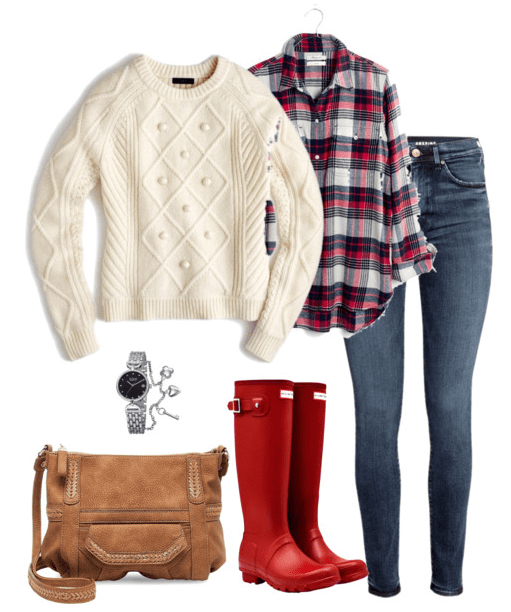 To see past month’s outfit ideas, visit the What to Wear This Month page. 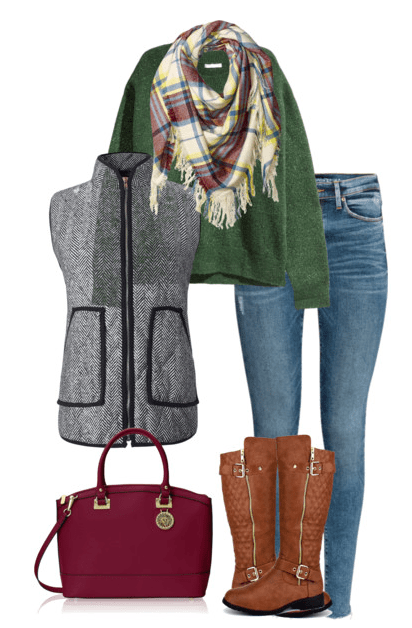 You’ll find ideas that’ll work for your fall and winter wardrobe needs. 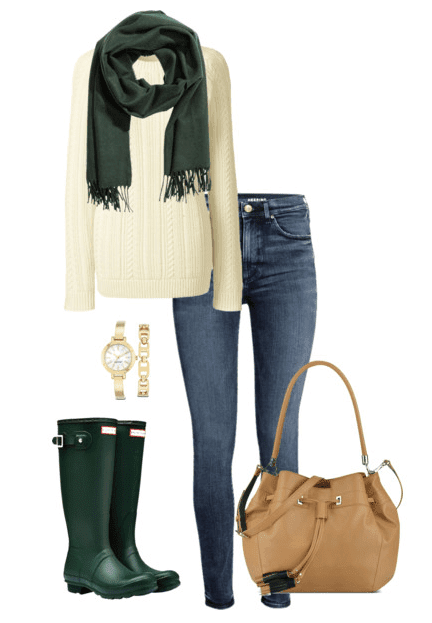 For December’s outfits, I focused mostly on Holiday colors: red and green. 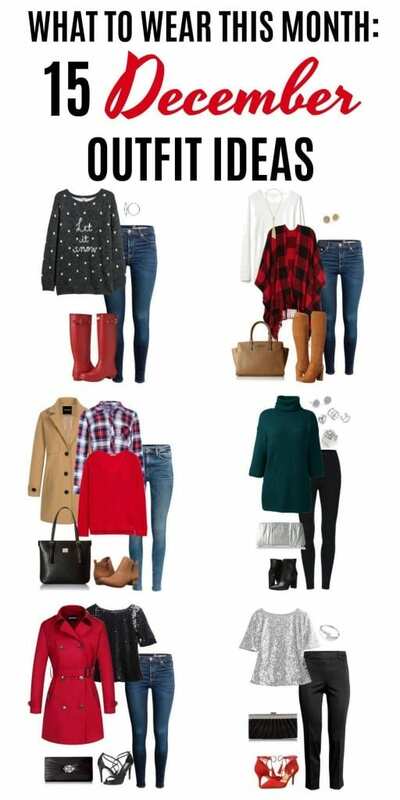 You’ll find outfits to wear when you head out to choose that perfect Christmas tree or when shopping for gifts for your friends and family. 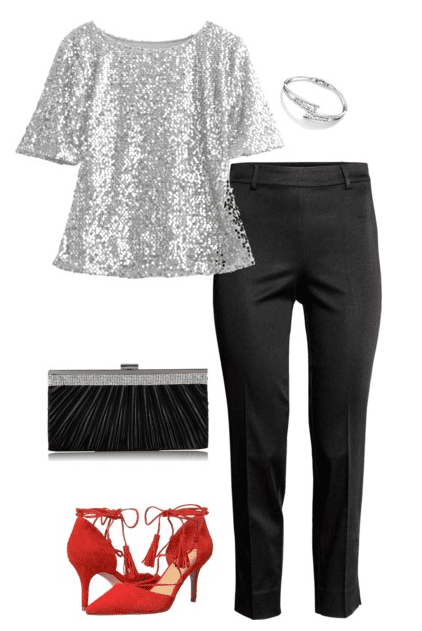 You’ll also find outfit ideas for dressy occasions such as that office Holiday party or your friend’s yearly shindig. 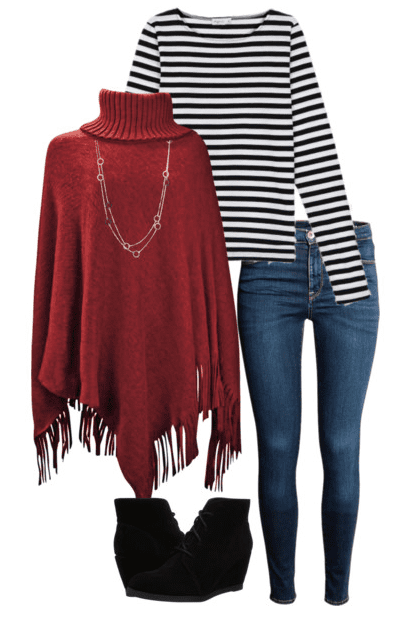 I hope you enjoy these December outfits and that they give you just the inspiration you need to find something to wear that you feel confident in. I recreated this outfit here. It’s become one of my favorites! Feel free to let me know what outfit ideas you’d like to see for January! 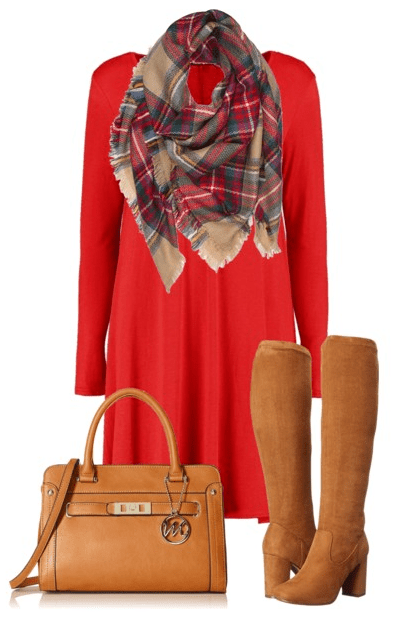 Loving all the plaid and all the red! OOH! 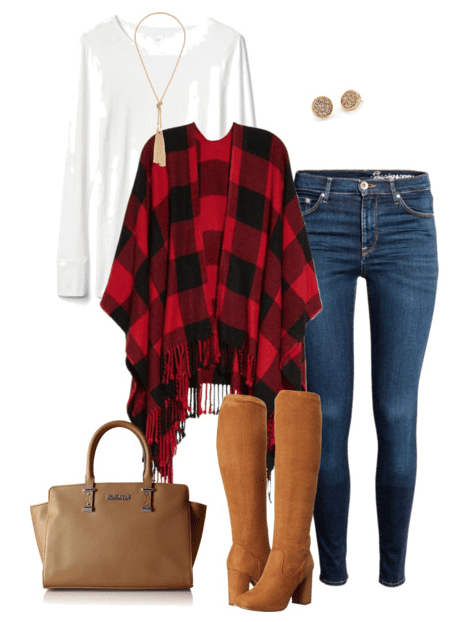 I love the buffalo plaid poncho and the sparkly skirt of course! Pinning!! !